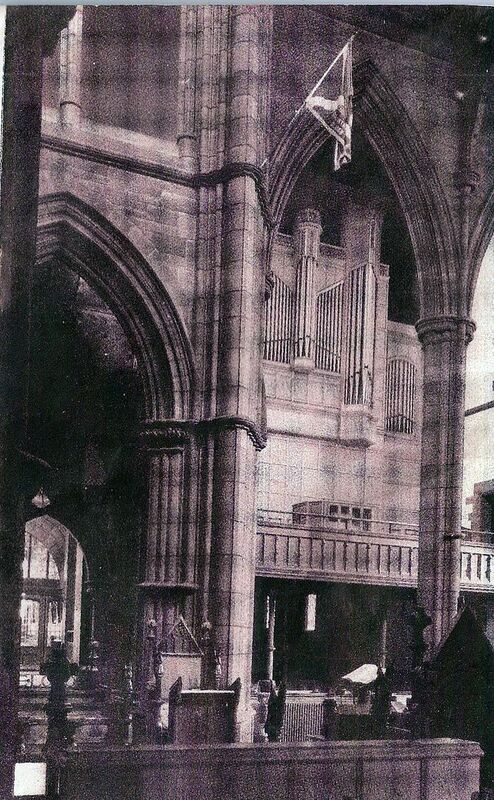 This is a photograph of the original organ. 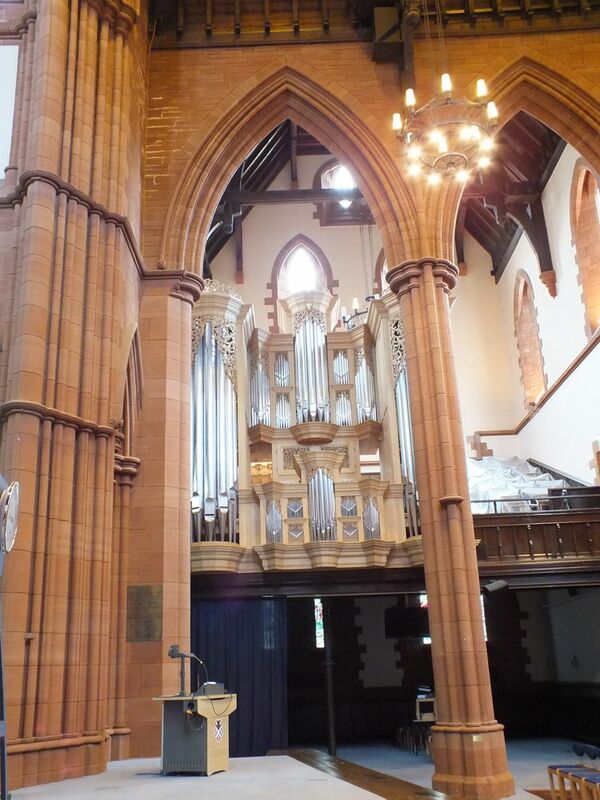 This organ has recently been replaced with one costing approx £500,000. The pupils of Allan Glen’s School used the chapel on special occasion; the Rev. 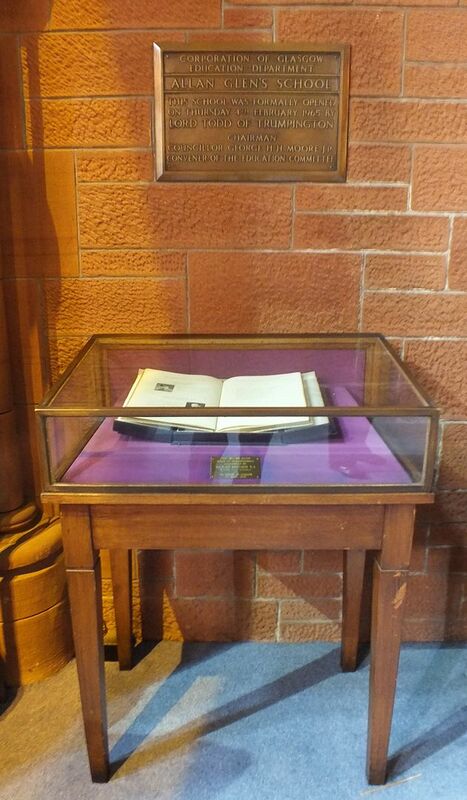 Roy Sanderson instituted this in 1949 and the school memorial book is displayed in a glass case. Allan Glen, a Wright and a Unitarian left £21,000 to provide a school for the children of “Respectable Parents of the Industrial Classes”. The school was opened in North Hanover Street in 1853. 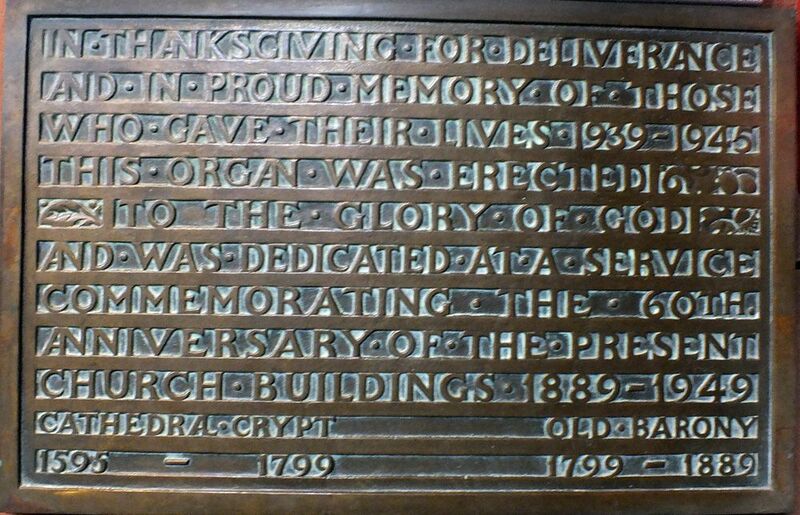 The plaque on the wall is of a later building, now part of the College of Commerce and was unveiled by Lord Todd of Trumpington, the first Chancellor of the University. COUNCILLOR GEORGE H.H. MOORE J.P.
REV. W. ROY SANDERSON M.A.